Those who call Spanish side Athletic Bilbao their team are familiar with the saying. “Con cantera y afición, no hace falta importación.” You will not find these words written in any of Athletic Bilbao’s handbooks. It does not appear anywhere in the Athletic stadium in the way Barcelona’s famous “mes que un club” motto sparkles at the Camp Nou. It is not the kind of thing you gift as a scarf to a fan for Christmas. In these ways, the words are silent. However, they are at once a powerful rallying cry, a formula for success, and a source of pride for the club and its followers. In English, the motto translates to, “with homegrown talent and local support, there’s no need for imports.” The phrase refers to Athletic’s cantera policy, a 100-plus-year-old rule whereby the club will only sign players who were born in the Basque country, or who learned their soccer skills at a Basque club. It is a “unique philosophy,” as longtime Athletic Feminino member and current coach Iraia Iturregi would be the first to admit. For Athletic’s women’s side, as well as its men, this idea, in part, has contributed to the club’s achievements over the years. 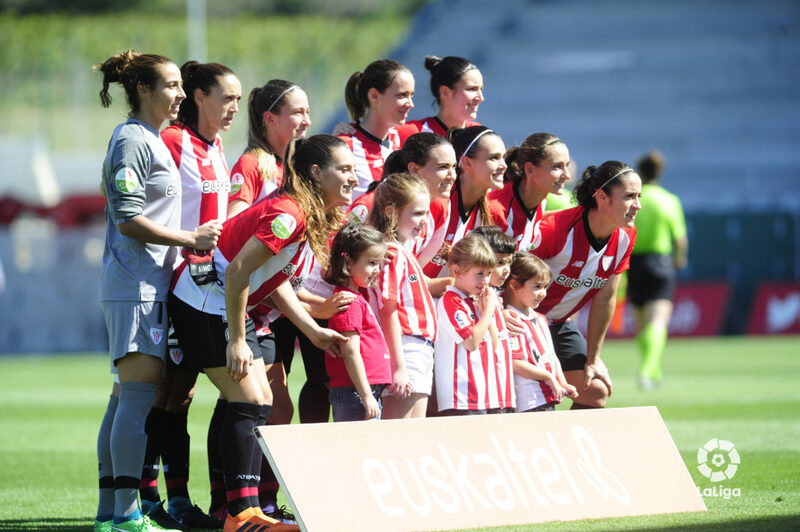 Athletic Femenino is the most accomplished women’s team in Spain, having won 12 trophies, five Spanish league championships and qualified for the UEFA Women’s Champions League five times since the team’s official establishment in 2002. Their success stands out in the women’s Primera Division as they boast the league’s best all-time record (318-72-60). How the cantera policy — a badge of honor for the club — has manifested on the field is one thing; how it lands, is wielded and experienced from generation to generation beyond it, is another. In our current global climate, the sentiment behind the policy is, to put it mildly, a charged one. Who, exactly, are the Basques? Over the centuries, considerations such as political developments, wars, economic opportunity and economic upheaval have encouraged us to reconsider the concepts of borders and boundaries. As individuals and communities move about, bringing their cultures with them, the resulting multi-nationalism and diversity of people and ideas has been celebrated by some. For others, the blurring and erosion of lines poses an alarming danger to community and to those characteristics that have defined them. With this perception often comes the belief that certain “outside” actors, whether by reason of distance or authority, seek to impose what is “best” with no respect for those with a particular identity, upbringing and ideas. The response, for many, has been to develop ways to delineate and embolden a group — whether it be defined by ethnicity, religion, or other characteristics — in a rapidly changing context. Today, with the blessings and curses of modernization, the distances between us all have seemingly dwindled and the erasure, fortification and/or establishment of borders and boundaries have new, potent implications. These constructions — whether in concept or in tangible “walls” — have been, for some, a source of delight and confidence. For others, they engender fear, anger and shame. The story of Basque nationalism, its unique intricacies and nuances, is one of these narratives. For a long time, the Basque provinces (in the western Pyrenees on the border of Spain and France) enjoyed a special social and political arrangement with the Spanish monarchy, which included, among other things, many beneficial taxation and land arrangements. In the late 19th century, a series of wars and negotiations brought this relationship to an end as the Spanish government sought to assert its control and centralize power in Madrid. Many Basque activists fought for territorial autonomy and their way of life, but were largely suppressed by the Spanish government. The Basque nationalist movement began during this tumultuous period. Basque nationalism remains alive and well today. In common with many nationalist movements, the Basque version exists in varying forms and intensities. Its staunch adherents subscribe to a few core ideas, which include the political unification of the Basque-speaking provinces and the reclamation and occupation of the Basque land considered “lost” to an overbearing Spain. On the other end are those who, rather than characterize themselves as nationalists, merely take pride in Basque culture and perhaps call Athletic Bilbao their team. What do we make, then, of this team that embraces the phrase “con cantera y afición, no hace falta importación?” When do we criticize and when do we applaud a group that only allows “in” people from a particular culture, who abide by a particular set of values? From a sports standpoint, there is a lot that makes sense about the cantera policy. The inability to buy the best players available necessitates an important, different focus early on. As Iturregi explains, “[It] makes the market very limited, but on the other hand, it makes us to have the responsibility to take care and work the Academy in an extraordinary way.” Considering this attention to development at the youth level, it comes as little surprise that the Spanish squad that just won the U-17 World Cup featured three Athletic players, the most of any Spanish club. At Athletic, the starting XI, the bench players and the reserves have all been trained in the same brand of soccer. Further, the entire squad and the youth levels are bought into a broader culture so that when a player steps out on the field they “don’t feel only that they are fighting for the team´s colors, but for the values that identify this club,” values which, Iturregi feels, “represent to a large extent the inhabitants of the Basque Country.” If cohesion and chemistry are keys to success in team sports, Athletic, it seems, has found a surefire way to inculcate these elements. The cantera policy has also paid off for the club in terms of fan appeal. In reviewing the attendance numbers at the Estadio Santa Maria de Lezama each week compared to other clubs, Athletic ranks among the league’s most well-supported teams. A staggering 21,504 fans showed up to watch the Basque Derby last season, a highly-anticipated rivalry match between Athletic Bilbao and Real Sociedad which saw Athletic come out on top, 4-1. The cantera policy helps to facilitate these turnouts. “Fans really get to identify with the players and the closeness with these fans is greater than in other teams. After all, we are all from ‘home,’” explains Iturregi. And yet there are distinct on-field challenges with this sort of exclusionary approach. Consider Liga MX Femenil, which expands Athletic’s model to a larger scale. The highest division of women’s soccer in Mexico was founded with the clear goal of nurturing the stars of the Mexican women’s national team. As part of this mission, the league commissioners announced the somewhat controversial rule that stated only players born in Mexico would be allowed to compete. Fast forward just over a year later and Mexico failed to qualify for the World Cup in one of the world’s weakest women’s soccer regions. It would be unfair to chalk up that embarrassment to one factor, particularly since Liga MX is largely focused on developing young players (with a focus on U-23), but it seems it would encourage the Mexican federation to think about how exactly to put together the best, most competitive league for its young talent — one that will ultimately produce the most quality and succeed in the big tournaments. Are these goals achievable from a league that only allows Mexicans to participate? 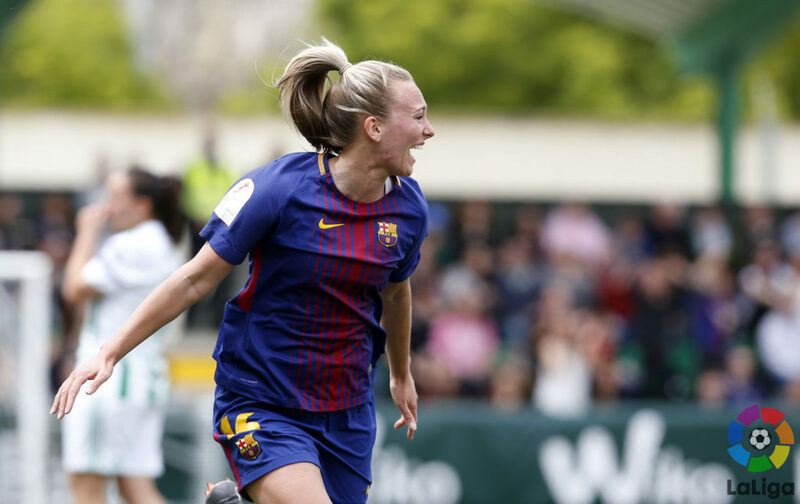 There are certainly some different complications with the league-wide approach, but Athletic Femenino, too, now are being faced with the same questions as the only team in the Spanish Primera Division without any foreign players. 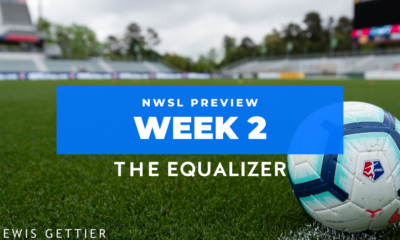 There is no doubt that they are currently one of the top clubs in Spain, but considering the aforementioned elements and the shifting landscape of women’s soccer, their present and future success begs a closer look. In 2013, the Spanish national team that competed in the European Championship had five players from Athletic. 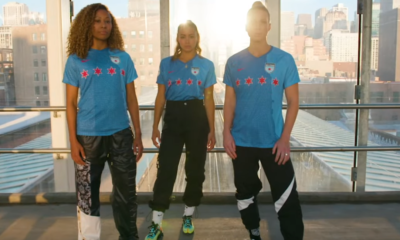 Five years later, the most recent squad named, for matches against Belgium and the United States, featured just one player from the Basque club: Lucia Garcia. Domestically, the team that once won four Spanish League titles in five years seems to be slowly losing its dominant grip to sides like Atletico Madrid, Barcelona, and others who do not consider restrictions like the cantera policy when building their teams. In the 2016/2017 season, Athletic ended up fifth in the Primera Division, tied for their poorest ever finish in club history. Last year, they finished third, a significant 20 points behind second-place Barcelona. This season, it appears, is the tightest one yet with Athletic sitting fifth in the middle of the campaign, 20 points behind Atletico Madrid. 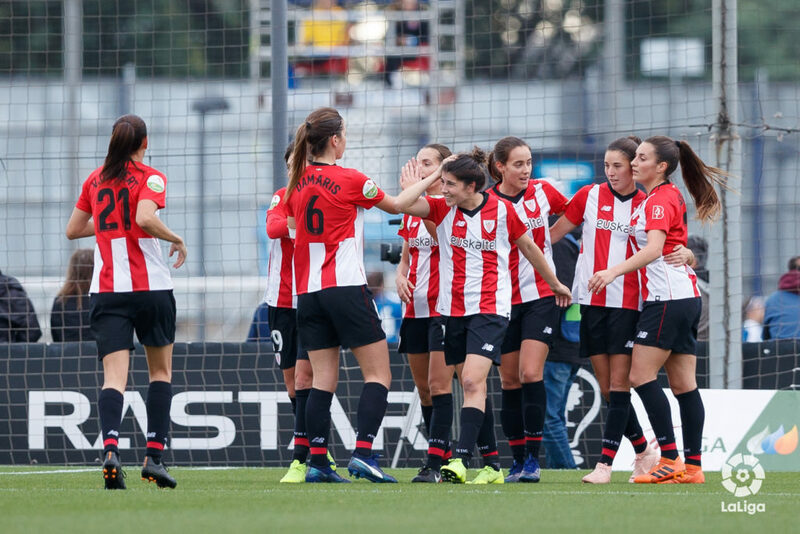 In considering what Athletic Bilbao Femenino’s future may hold, one may glance to its men’s team to see what potentially lies ahead. The men have had substantial success, laying claim to eight La Liga titles (the fourth most in league history) and being one of only three teams to never be relegated from the top division. The key word here though being had. The last time Athletic consistently competed for trophies was nearly 35 years ago. It was around that same time that Barcelona signed Diego Maradona and a few years later, other foreigners that would make up the “Dream Team” of the 1980s. You get where this goes from here. It has been Real Madrid and the Barcelona that have consistently bulked up their trophy cases in the modern era. At the time this article is published, Athletic’s men sit mid-table but only five points clear of La Liga’s relegation zone, looking down the barrel at a reality they have never faced in their 120-year history. Is there a ceiling then for on-field success when you do not open your doors to foreign players? Perhaps this will be the fate of Athletic’s women. Maybe it won’t. Maybe, in the big picture, we will ask whether it even matters. Whether it be Millwall FC or the Miami Heat, sports teams, rooted in and standing for a particular locale, exist and have a responsibility to bring pride to the place and people they represent. Athletic Bilbao tells us that how a team seeks to achieve that goal may be malleable. One way of bringing pride may be through garnering the most accolades at the highest levels year in and year out. Another way may be through maintaining a particular cultural and sporting identity, ensuring the integrity of the sacred fabric of a people that embraces their core values within contexts beyond sport. The latter — the Athletic way — feels particularly significant, like a rare jewel to be inspected and held dear. In this current moment in sports, the money input and output appears boundless, concrete and clear organizational values have faded and players are increasingly commodified. Teams like Athletic are the exception. Still, the club has made and will continue to make sacrifices and grapple with how their way of doing things succeeds or fails. Celebrate or criticize, the cantera policy is not going to simply disappear. “Strong, intense, disciplined,” a team that “never gives up” whose “strength is in the group” — these are the words that have been used to describe Athletic Bilbao, characteristics that have seeped into the stadium walls, flowing from generation to generation in a community that has fought and continues to fight with or without a ball at their feet.